My niece had her birthday recently and requested I make a caramel mud cake for her. I had never made one before, so I looked up a recipe and found this one. It was delicious. The icing is a little sweet for my liking, but with the addition of the raspberries it was delicious, as they are a little tart. She said it was her favourite cake so far. Preheat the oven to slow (150C). Grease and line the base and side of a deep 22cm round cake pan. Bring paper 5cm above the side of the pan. Combine the butter, chocolate, sugar and water in a medium saucepan, stir over a low heat until the chocolate and butter have melted and the sugar is dissolved. Transfer the mixture to a large mixing bowl; cool for 15 minutes. Whisk in vanilla and eggs, then the combined plain and self raising flours. Pour the mixture into your prepared pan. Bake for 1 hour, then cover cake loosely with foil to stop over browning. Bake for a further 1 hour. Cool cake in the pan. Caramel Icing: Combine the butter, brown sugar and milk in a small saucepan. Bring to the boil. Cook, stirring, for about 3 minutes, cool. Add enough icing sugar mixture to give a spreading consistency, stir until smooth. 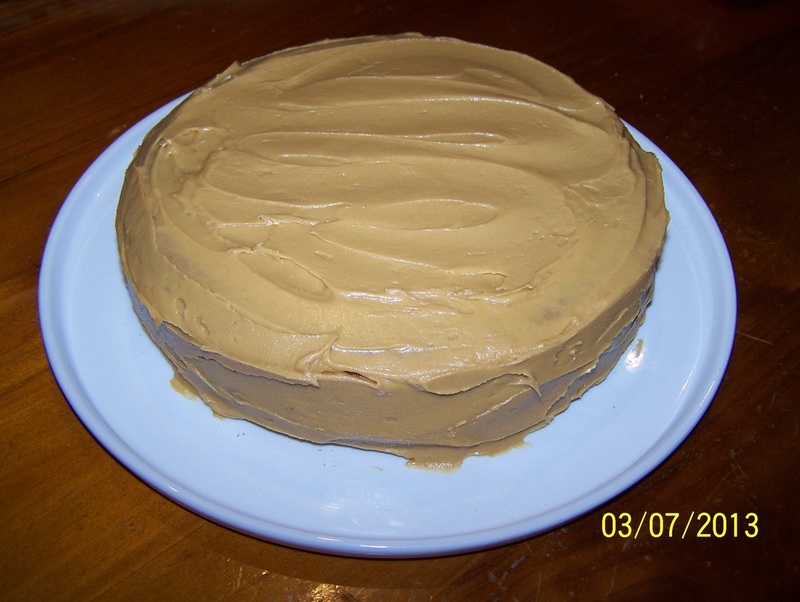 Spread cold cake with cooled caramel frosting. 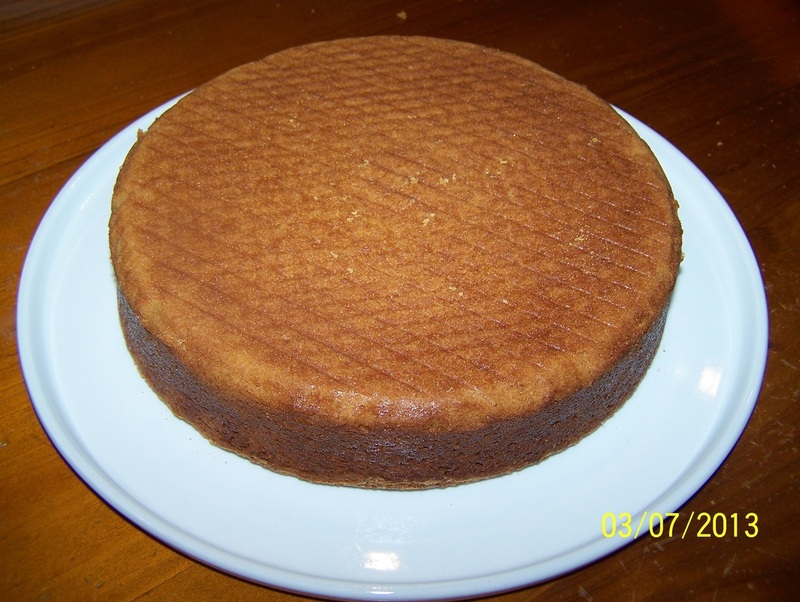 Uniced cake can be made up to 4 days ahead; store in an airtight container at room temperature. 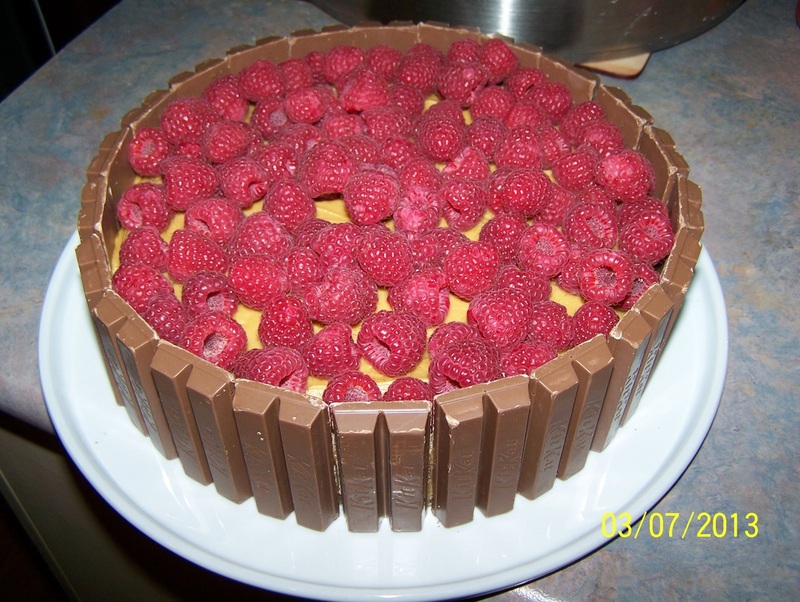 To decorate as pictured, I just used mini kit kats and fresh raspberries.